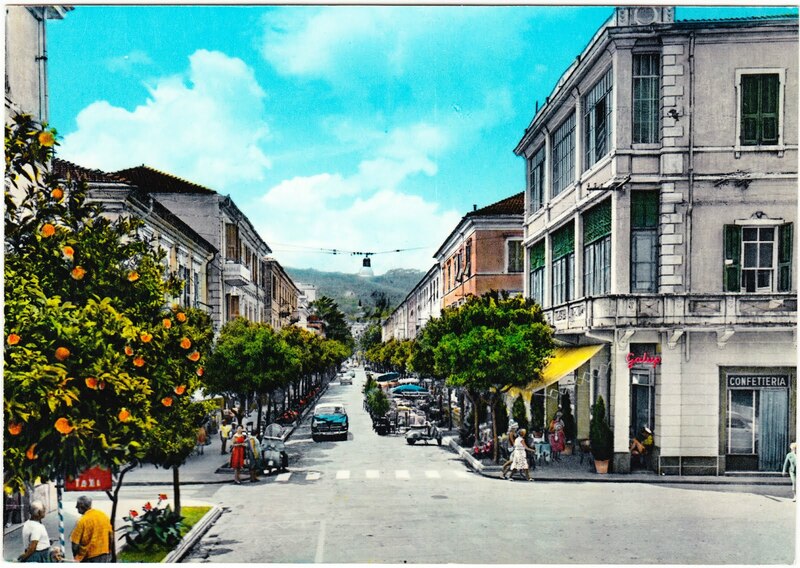 This undated Kodak Ektachrome postcard features Oranges Avenue in Diano Marina, a municipality in the Province of Imperia. 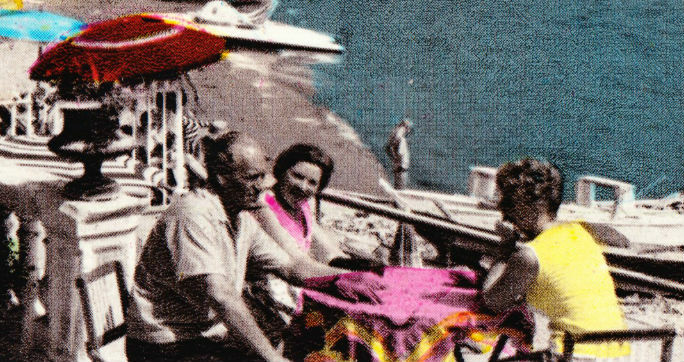 Diano Marina, which now has a population of about 6,000, is within the Riviera dei Fiori portion of the Italian Riviera. 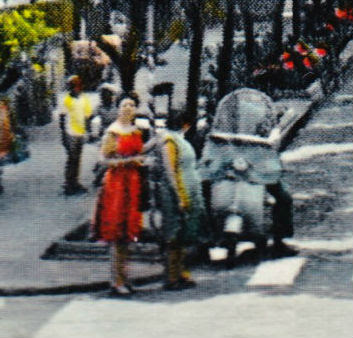 The front of the card states, in Italian, "Amalfi - Strada per Positano e Sorrento." 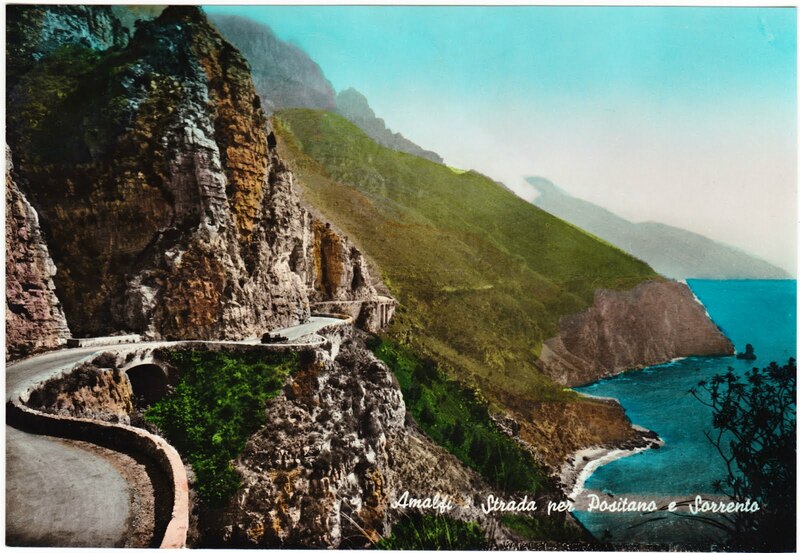 This is an undated "BROMOSTAMPA" postcard showing a portion of the cliff-hugging Amalfi Drive, a 50-mile road that connects Sorrento and Amalfi along the Amalfi Coast. According to Wikipedia, the road was originally built by the Romans and the majority of the route is carved out of the side of the coastal cliffs, with cliffs above and the Tyrrhenian Sea below. As you can imagine, the road and the entirety of the Amalfi Coast are popular tourist destinations. Members of British aristocracy frequented the region in the 1920s and 1930s. Here's a black-and-white postcard of Hotel Metropole in Rome. 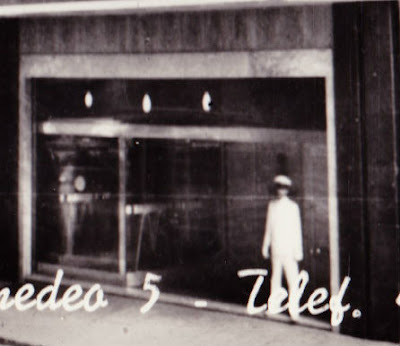 The back of the card indicates that the hotel boasted telephones, radios, air-conditioning and a 300-car garage. "In the heart of Rome, a stone's throw from the Stazione Termini and with easy access to the most famous sights in the city, the Starhotels Metropole is the perfect combination of style and taste. Spacious halls, furnished in beige, red and gold, give the hotel a modern feel. Originally built in 1956 on the foundations of a convent, and acquired by Starhotels in 1981, the hotel has been restored several times. 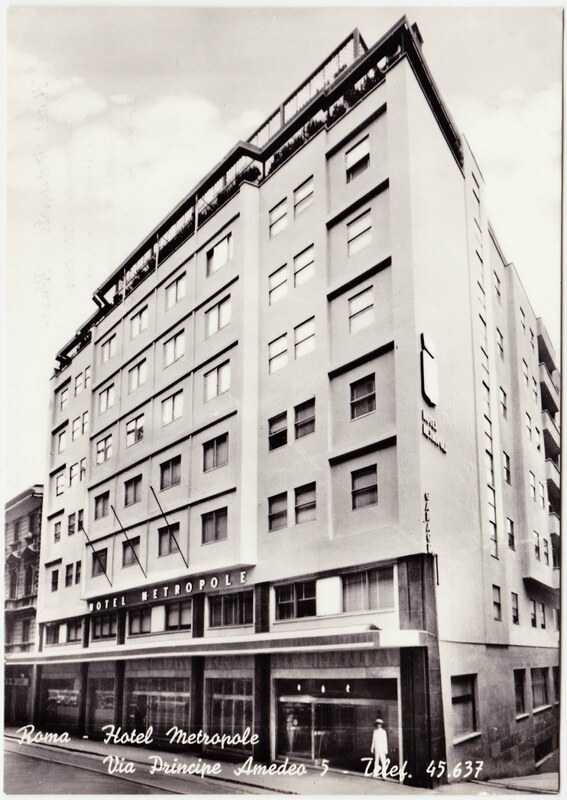 Today, the Metropole is perfect for business and leisure guests." Wi-Fi Internet service available throughout the whole hotel. And we're back to Diano Marina for this gorgeous shot of the coast. 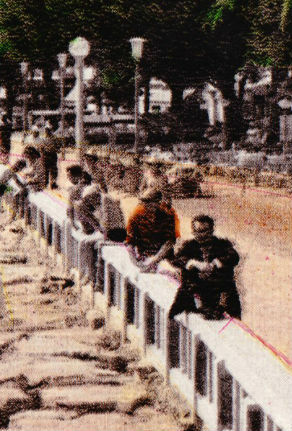 This is another one of those irregular-shaped Millecolor Omniafoto postcards. I first featured one in this post. 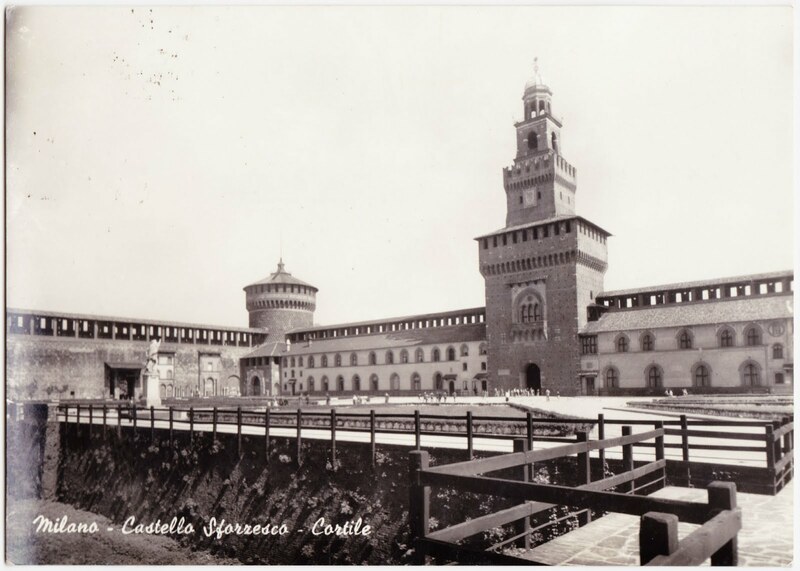 This undated black-and-white Pace & C. postcard features the courtyard of Castello Sforzesco (aka Sforza Castle) in Milan. It dates to the 1300s. The Italian warlord Francesco I Sforza oversaw its circa-1450 reconstruction. One room contains ceiling paintings by Leonardo da Vinci. It was one of the biggest citadels in Europe during the 15th and 16th centuries, and was developed into a star fort during that time. In 1888, Parco Sempione — a city park in Milan — was established on the castle's former parade grounds. In 1943, the castle was severely damaged during Allied bombardment of Milan. And it's back to Diano Marina one more time for this colorful Millecolor Omniafoto photograph of what is described as "The Gulf of the Palm-trees." From what I could find, this building was constructed in 1936. 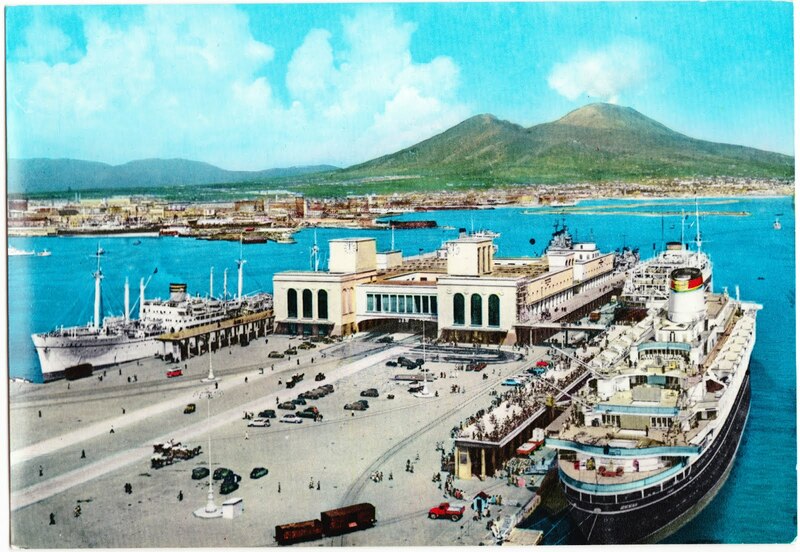 One thing I love about these two postcards is that they show the intersection of so many different forms of transportation. 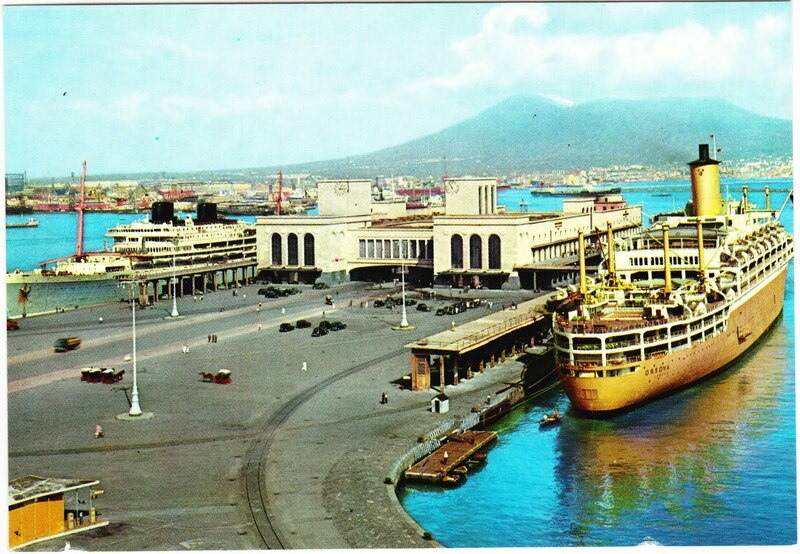 You have ships, cars and trucks, trains ... and even horse-drawn carts in both images. And, yes, that's Mount Vesuvius in the background. It appears to be smoking in the top postcard!